OMG ... it's really back to natural beauty basics, particularly when pregnant... And as an island girl, I don't know why I stray from what was used and used to work in my childhood when I had the healthiest hair and skin. I bet we all have beauty-health tips and routines from child hood, particularly from our summer vacations. So my latest love affair is with extra virgin or organic coconut oil. My hair absolutely loves it! My hair is silky soft, shiny and actually manageable even when dry. So throw out all the million and one beauty products and invest in this gift from nature. Coconut oil can be used as a skin moisturizer, as a wound cover, a cure for yeast infections, and for skin problems like psoriasis, eczema, liver spots, and skin damaging spots from over exposure to sunlight, can be prevented as well as treated with coconut oil. The oil penetrates beyond the outer layer of skin and into the deeper layers to strengthen tissues. The oil can also help remove the dead skin cells of the outer layer. The result is a more youthful appearance of smooth, soft glowing skin. Coconut oil for hair treatment is also an excellent moisturizer and conditioner for hair, giving you stronger, healthier hair shaft, reducing split ends and hair breakage. It's no secret virgin coconut oil is bursting with fortifying fatty acids. Studies show coconut oil actually penetrates the hair shaft and reduces protein loss. These fatty acids are proven to enhance and strengthen the hair shaft. 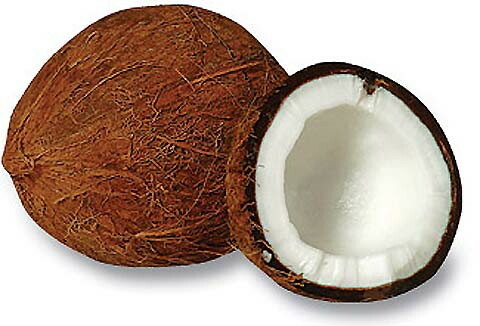 Virgin coconut oil is proven to replenish the vital oils that give your hair shine and bounce. In less than one hour, you can treat yourself to intense moisturizing that strengthens and nourishes your hair. Once you've experienced running your fingers through a head of thick and healthy hair after a coconut oil deep conditioning hair treatment, you'll toss every excessive hair product! Shampoo your hair and let dry until slightly damp. Apply a quarter-sized amount of virgin coconut oil to your palms and rub hands together. The heat from your hands will instantly melt the coconut oil, coating your palms and fingers with the oil. If you have longer hair, you'll probably need to use more oil. Run your fingers through your hair. Concentrate on coating your hair with the oil. Your hair will look slick and shiny from the oil. Using too much oil will take longer to rinse out. Take the plastic shower cap and cover your hair. This keeps your hair in place. It also helps retain heat to increase absorption. Leave on for about one hour, then remove the plastic shower cap and rinse your hair. Your hair will feel thick and full right after this 60 minute treatment. which takes care of everything for about $10? Oye, if you don't have coconut oil in your beauty arsenal ... just try it! You'll thank me later.